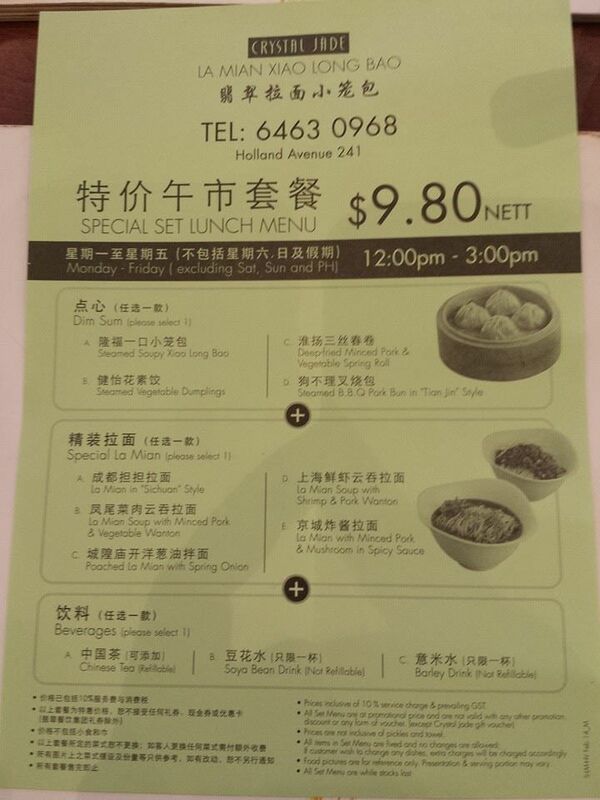 had a 20mins lunch at Crystal Jade Lamian Xiaolongbao HollandV on 13.3.2014. they start serving the S$9.80nett lunch set (i think used to be S$8.80) only at 12pm! the prawn dumplings lamian serving was like 1/2 a bowl, which actually served me fine as i don’t take so much carbo anyway though others might find it too skimpy/meagre… the prawn wantons were tasty too. the set came with a drink. i had the cold barley, usual good. for S$9.80 nett, the lunch was quite fine, and service was good. 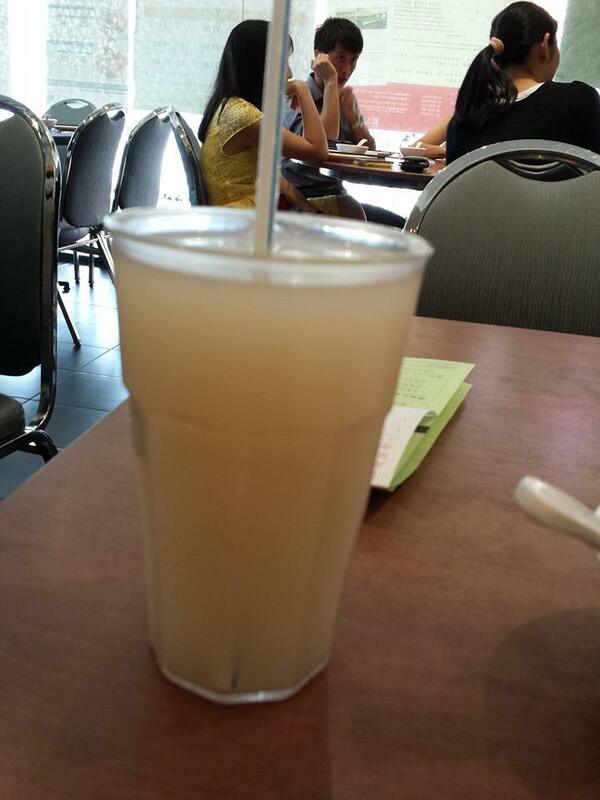 they charged S$0.30++ for the wet issue which is fine and the waiting staff told me no need to order ice water which they also charge S$0.30 which is also ok, as the set came with the drink. This entry was posted in Buon Appetito! 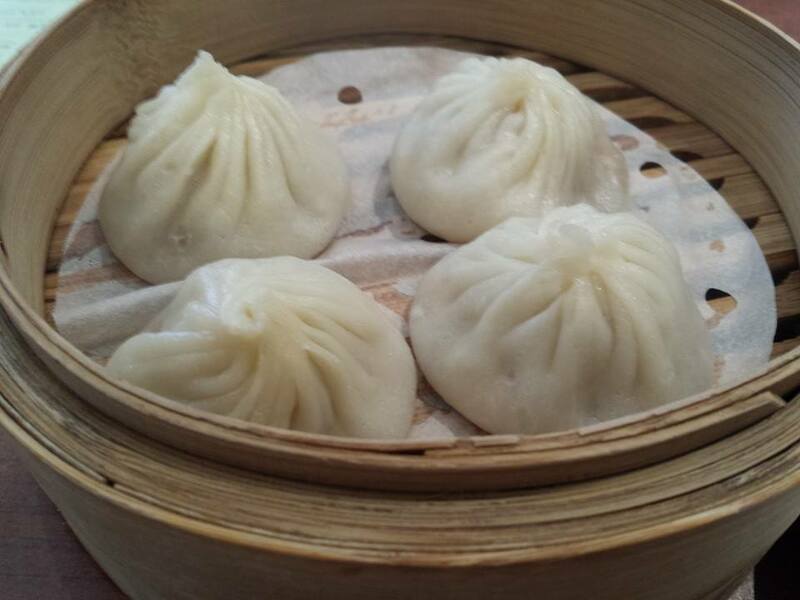 and tagged barley, crystal jade lamian xiaolongbao, dempsey, hollandV, lamian, prawn dumplings, reddot brewhouse, takashimaya, xiaolongbao, 小笼包. Bookmark the permalink.